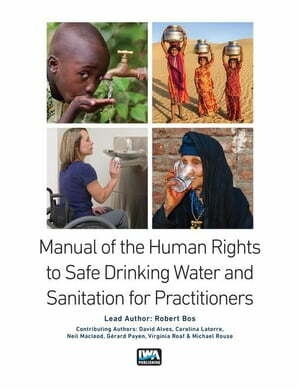 Collins Booksellers - Manual on the Human Rights to Safe Drinking Water and Sanitation for Practitioners by Bos, Robert, 9781780407449. Buy this book online. The Manual introduces a human rights perspective that will add value to informed decision making in the daily routine of operators, managers and regulators. It also encourages its readership to engage actively in national dialogues where the human rights to safe drinking water and sanitation are translated into national and local policies, laws and regulations. Creating such an enabling environment is, in fact, only the first step in the process towards progressive realisation. Allocation of roles and responsibilities is the next step, in an updated institutional and operational set up that helps apply a human rights lens to the process of reviewing and revising the essential functions of operators, service providers and regulators.